Zapier lets you connect Replyify to 1,000+ other web services. Automated connections called Zaps, set up in minutes with no coding, can automate your day-to-day tasks and build workflows between Apps that otherwise wouldn’t be possible. 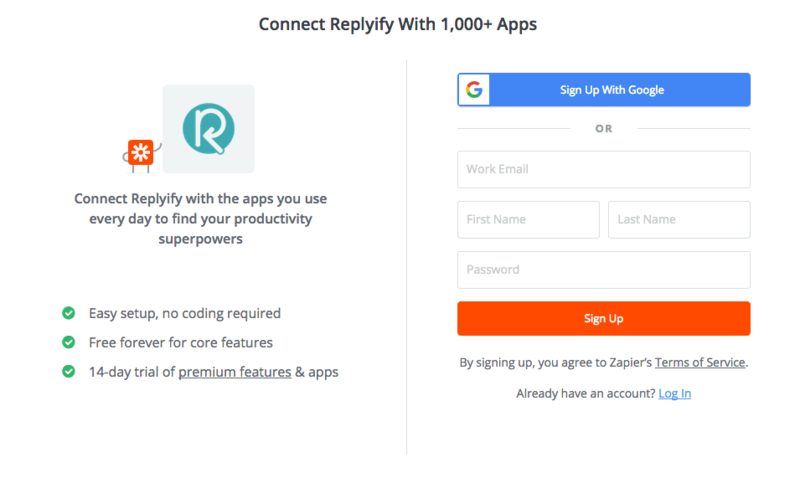 How do I connect Replyify to Zapier? 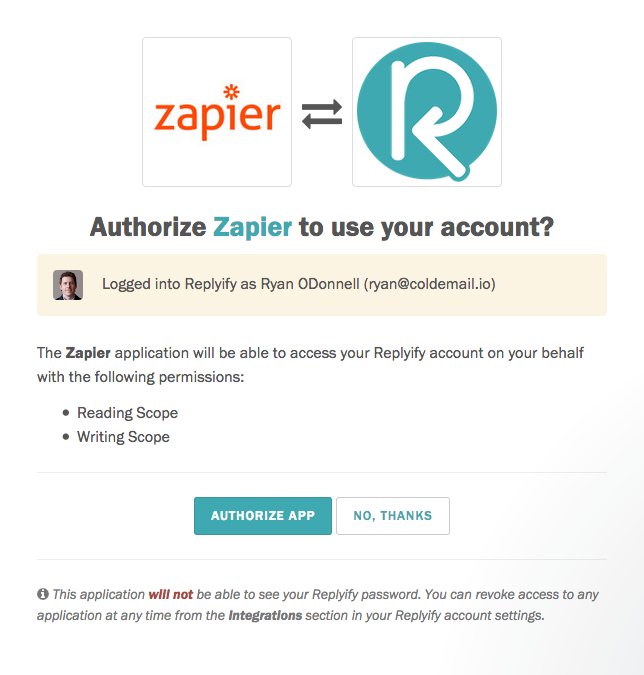 Use your credentials to connect your Replyify account to Zapier. Once that’s done you can start creating an automation! Use a pre-made Zap or create your own with the Zap Editor. Creating a Zap requires no coding knowledge and you’ll be walked step-by-step through the setup.​ ​How do I create a new Zap? We have a few pre-made zaps like Creating a Contact from a Google Sheet or Create new leads in Salesforce from new replies received in Replyify. You can also create your own zaps to integrate with 1,000s of other services depending on your workflow using triggers like ‘clicked a link’ or ‘unsubscribed’. *Need inspiration? See everything that’s possible with Replyify and Zapier.